The 3am Teacher: NEW US States Clipart, a Discount Code, & a FREEBIE!! 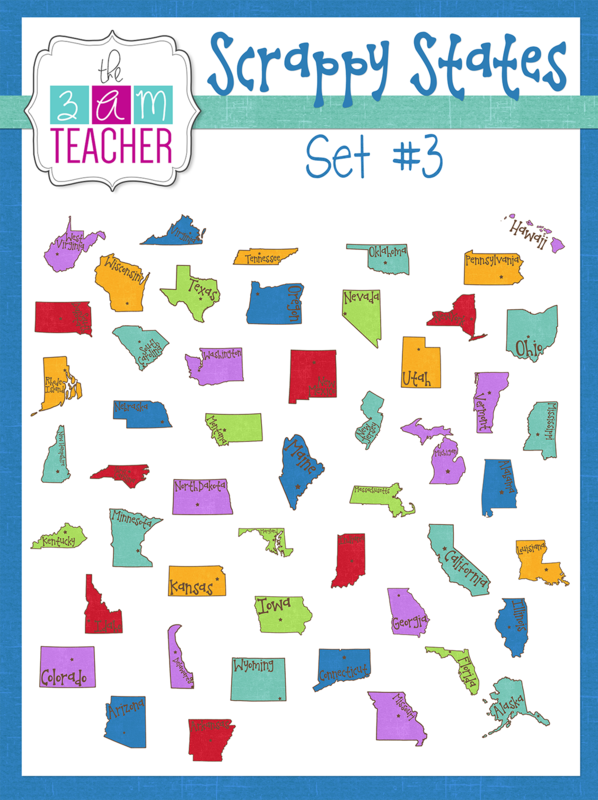 NEW US States Clipart, a Discount Code, & a FREEBIE!! 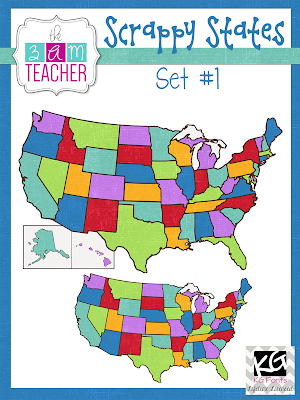 I am just stopping to to drop a quick update, 50% off code and a couple of freebies to promote my NEW states clip art sets!! 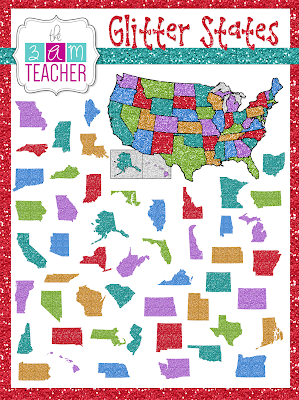 I have unlabeled states and labeled states in various styles for your to choose from (even GLITTER)!! Check out the DEAL of the Day in my sidebar to grab a 50% off code to use at my Etsy shop and grab my US States Bundle Set today!! Click the image below to visit my Etsy shop!! As an added bonus, I have a couple of freebies to go along with wither one of the sets. 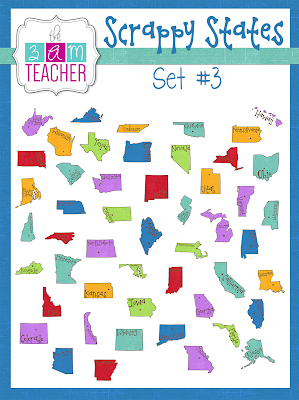 Click the images below to visit my TpT shop and grab my latest freebies!! Please make sure to follow my shop and leave me some sugar if you like the freebies and would like me to keep them coming (-; Remember to use the code (found in the sidebar under Deal of the Day) at checkout to get 50% off your purchase. Don't forget to check out the MEGA Clipart Bundle Collection through Educents!! You can get a variety of clipart and fonts from various artists in one awesome bundle at a great deal!!! Thank you for visiting & I hope you all become inspired & use the images to create amazing resources and products!! 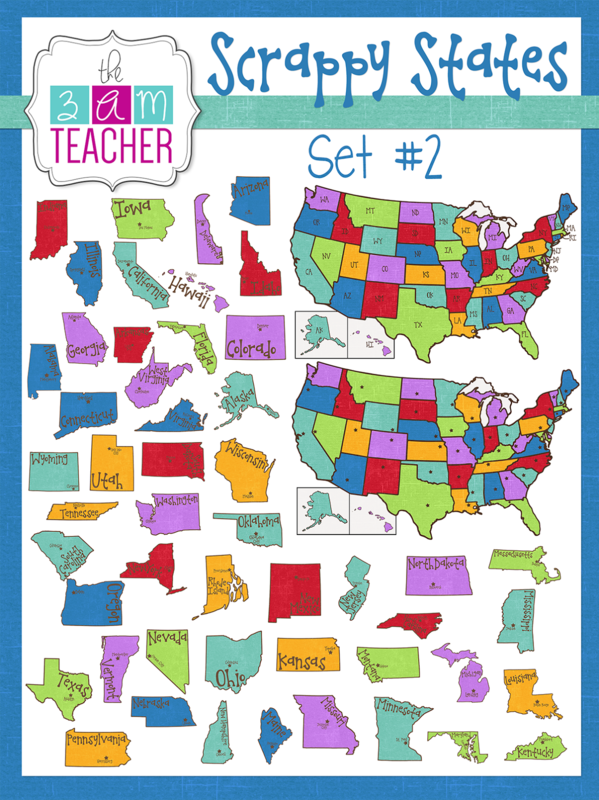 Michelle, these states sets are fantastic! They can be used in so many ways and I love the glitter set! You've been BUSY! Your new blog design looks AMAZING, too! This is a wonderful resource. 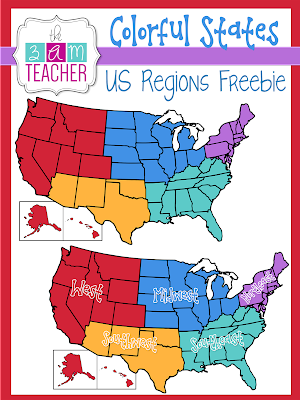 Geography seems to be a "lost subject", and this will help. 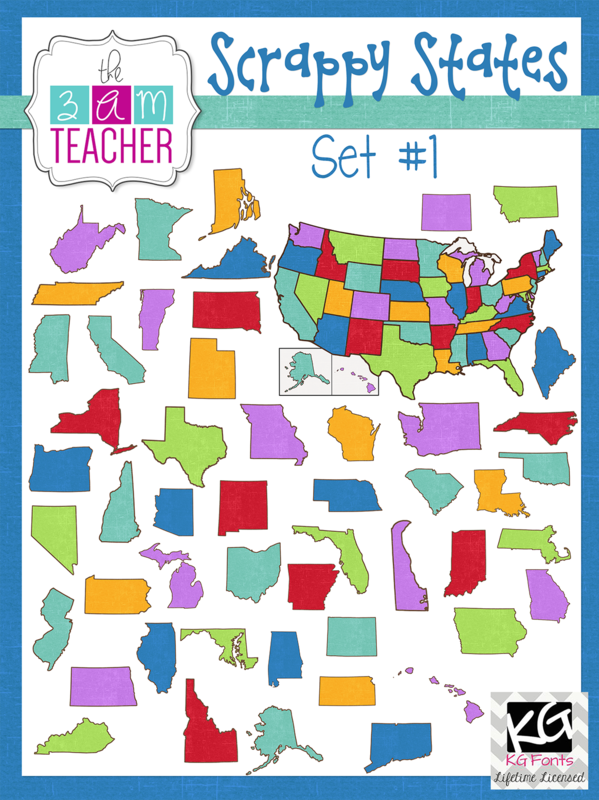 I sure hope it will make geography fun!! haha... Thank you so much!! You are a ROCK STAR! I ♥ you! You are my inspiration, my dear!! So, thank you!! These are so cute! I especially love the glitter set!